STORM unleash their long-anticipated new studio offering: Nations to Flames. Centered around the apex of human failure, nations to flames bears witness to the fall of all governments, all nations, and all religions. 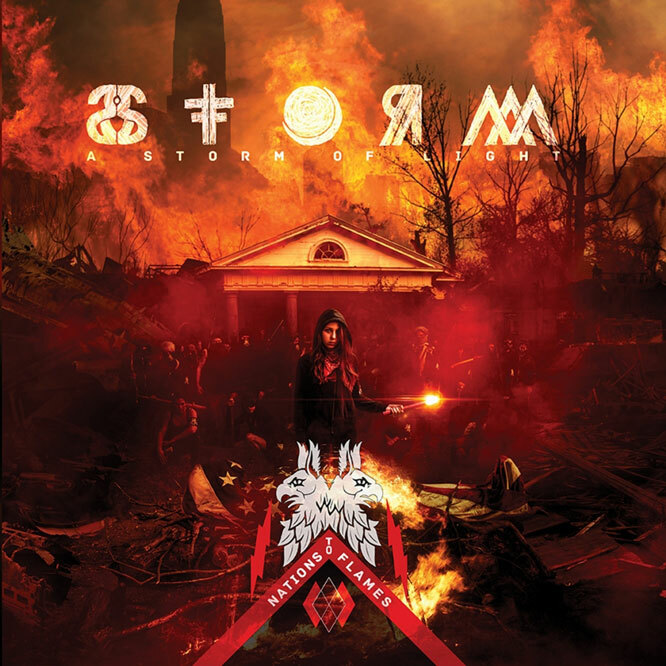 The record is both musically and thematically captivating and marks the storm collective’s darkest, most immediately punishing creation to date. Featuring Soundgarden’s guitar guru Kim Thayil and Indian/Nachtmystium’s Will Lindsay on select tracks.